If last year’s Pixel 2 and the Pixel 2 XL is anything to go by, there’s a lot to expect this time from Google. However, there isn’t much left to the imagination when it comes to the upcoming Google Pixel 3 and the Google Pixel 3 XL. The smartphones have been leaked left, right and center. It has been spotted in subways (more than once); they were being sold by retailers even before they officially go on sale; the new Pixel phones have also surfaced in hands-on videos and within lines of code. As a result, we now have a distinctly clear idea about what to expect from the upcoming flagship phones from Google. Before they are officially unveiled on October 9 in an event in New York, here’s a roundup of everything we know about the Google Pixel 3 and the Google Pixel 3 XL. Hands-on images and videos have showed the larger Google Pixel 3 XL, like most Android phones, will have a notch. The display cutout, first seen on the iPhone X allows manufacturers to fit a larger screen without increasing the footprint of the device. And that’s the first thing you’ll notice about the new Pixel 3 XL. The notch will, quite possibly, house two cameras, the earpiece and the proximity sensor. Most likely there will be an option to hide the notch and most apps will be adapted to fit the bigger screen. It also seems like LG again would be supplying the display for the Pixel 3 XL . It will be a P-OLED display, but based on what the LGV40 ThinQ is shaping up to be, the panel looks more promising than before. Google will offer some choice to the users though as the smaller Pixel 3 will come sans the notch. The Pixel 2 phones last year were manufactured by HTC and LG. This time, according to Winfuture.de, the Pixel 3 and the Pixel 3 XL will be manufactured by Foxconn Subsidiary FIH mobile, which also makes the Nokia phones for HMD Mobile. Multiple images, videos and spec-sheet leaks have given us a pretty good idea of the design of the new Pixel phones. Early prototypes leaked on the web showed the Pixel 3 XL having an all-glass body, with a look similar to its predecessor. The lower part of the glass had a matte finish. That sparked rumours about wireless charging being implemented. A leak about a purported Pixel Stand strengthened fuelled those rumours further. However, a Pixel 3 XL unit abandoned in a Lyft cab by a Google employee (it sounds outrageous, but a Lyft driver became an unlikely leakster) showed the Pixel 3 XL retain the chassis of its predecessor. It’s certainly bigger with a few notches here and there. Other information leaked on the web indicates the box will come with a pair of Type-C earphones. The pressure-sensitive edges, always-on display, double tap to wake, are also there. Although, there’s a high chance Google will focus more on Android 9 Pie-specific features. The Pixel’s colour variants have been interesting no doubt. Even more interesting (or most obvious) were their names. This time, posters leaked from Google’s side indicates the Pixel 3 and the Pixel 3 XL will be offered in a new minty variant, along with the previous black and white variants. Further, leakster Roland Quandt mentioned the Pixel 3 and the Pixel 3 XL will also be offered in a new pink colour that Google might pass off as sand. The Pixel phones have always touted traditional hardware. This time would be no different. In previous leaked unboxings and videos, we had a clean look at the specs of the Pixel 3 XL. The new Pixel phones will of course come with Android 9 Pie out of the box. They will also be powered by the Qualcomm Snapdragon 845 chipset paired with 4GB of RAM. The Pixel 3 XL’s display was noted to have 1440x2960 resolution, which means it will have a qHD display. The Pixel 3 XL will have a minimum of 64GB storage with more memory variants possibly offered. Google has made a strong case in favour of software magic with the single camera lens on the Pixel and the Pixel 2. The Pixel 3 will continue that tradition, as revealed by the leaked images and videos with a single 12.2MP camera. It is likely to have the HDR+ and the software-enabled Portrait mode with some expected improvements. The camera is the only thing where there’s a shadow of doubt. Google has kept that under lock and key safely, even though the rest of the phone has been the world’s worst kept secret. Up front though, the Pixel 3 and the Pixel 3 XL are expected to tout two cameras. That would be the first time there’s a dual camera unit on a Pixel phone. The second lens could work for face authentication, better portraits, and wide-angle selfies. 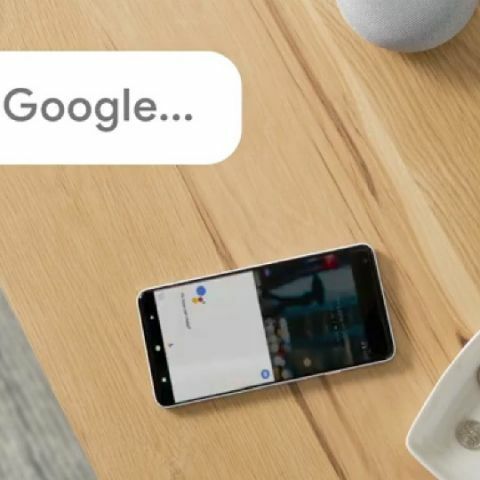 Google Lens could be used in real-time. Digital well-being is a big feature of the new Android version and the Pixel 3 phones will be the flagbearers of it. There will be hardware-level implementations like “Flip to Sshh” that will turn on Do Not Disturb the moment you flip the phone on its back. You can also keep a track of the time spent on your phone with a lot of granular information. This is certainly the feature we’re looking forward to the most this time. Based on few unboxing videos, the Pixel 3 XL will likely pack a 3,430mAh battery. The capacity of the Pixel 3 is unknown but it’s likely to be even lesser. That’s disappointing as the Pixel 2 XL had a 3,520 mAh battery. Android 9 Pie also bring Adaptive Battery features that relies on machine learning to optimise battery usage. Maybe Google is confident of more battery life with a smaller battery? The Million dollar question: Price? The Pixel 3 XL, believe it or not has been sold by a few retailers in Hong Kong and Dubai, at unbelievably high prices. The official price of the phone is one of the best kept secrets about the Pixel 3 XL. That’s probably going to be the only surprise at the launch. Based on the trend we are seeing about raising prices, it may not be that big of a surprise either.